Tough times for Mr Draghi. After the Greek referendum, ECB President Mario Draghi confessed to be “disheartened” by the Greek crisis. Just some days after, an agreement between Greece and its international creditors seems imminent, but one cannot be sure that Mr Draghi’s mood has changed, since a mammoth problem is still on the table. Greece needs that a part of its debt is condoned, something which was conceded even by the German hardline Minister Wolfgang Schaeuble. However, the strict European rules apparently forbid that. Either a way is found to circumvent this limit, or Greece is doomed. 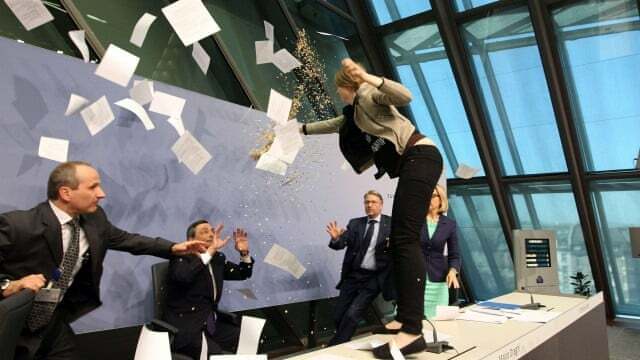 Tags: crisis, debt, default, Greece, haircut, Mario Draghi, stance. Bookmark the permalink.